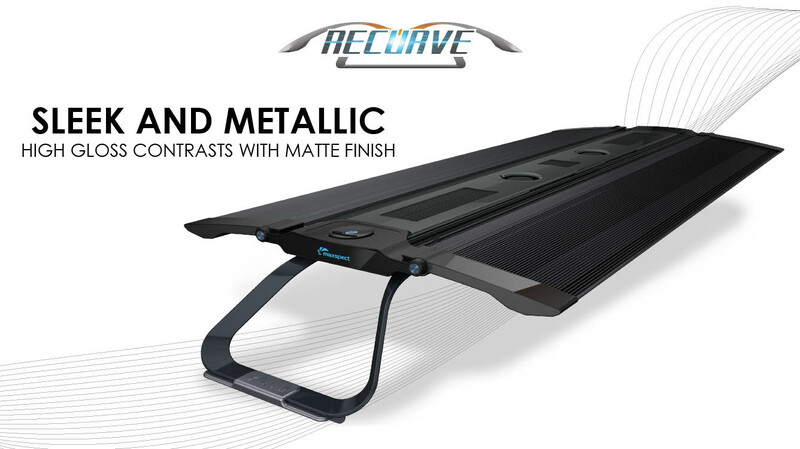 A first look at the newest LED reef aquarium light from Maxspect: the Recurve. The new Maxspect Recurve LED represents the next evolution of their LED lighting. The Recurve takes aim at both LED and T5 users, somewhat emulating the appearance of an LED + T5 hybrid fixture, yet only using LED technology. 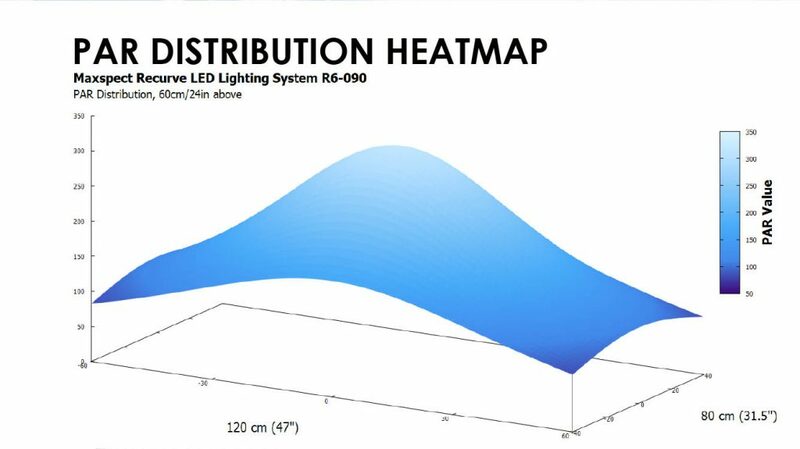 Variable Geometry LED flaps range in angle from a flat zero degrees to up to 30 degrees inward, allowing for customization between broad light spread and deep light penetration. 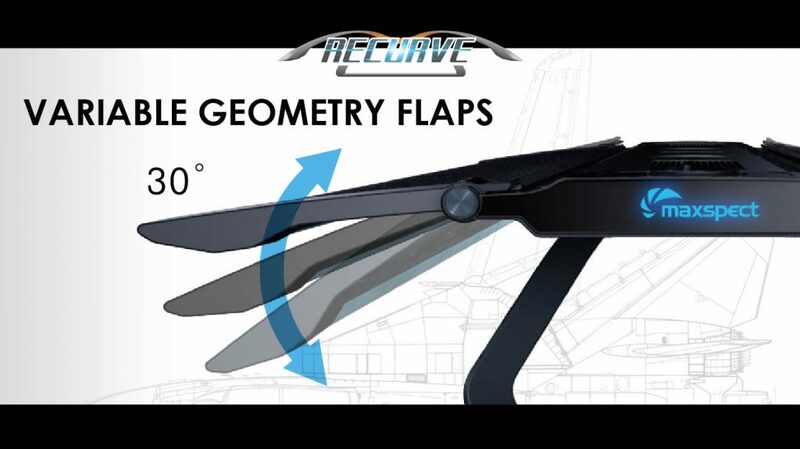 A look at how the LED strip light flaps can be angled on the new Recurve. Two extremes of flap adjustment: either maximizing spread and coverage, or focusing lights for maximum depth penetration. Versatile control, featuring a built-in, on-board controller with master/slave modes allowing multiple lights to all be controlled by the same master program. Central LED clusters that combine high-powered LEDs with a high-clarity Mitsubishi acrylic lens and Maxspect’s reflective cup featuring nano-blend technology to reduce the “disco ball effect” commonly seen with multi-color LED fixtures and lamps. 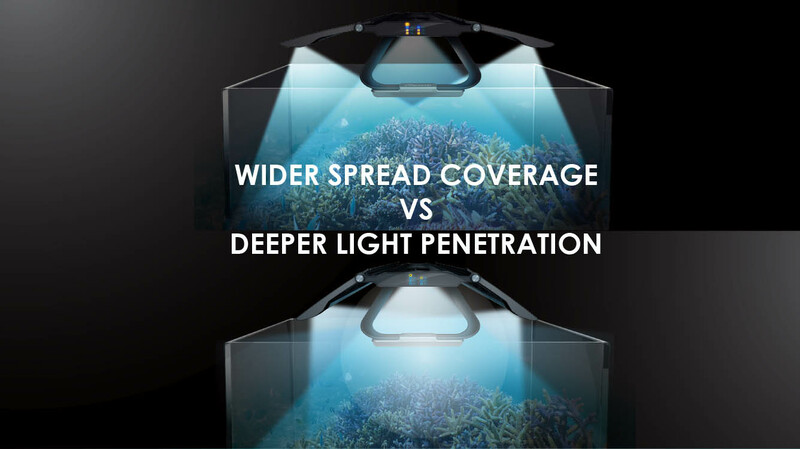 Watch the Maxspect website, and be sure to follow them on Facebook and Twitter for further updates on the release of this innovative new LED reef aquarium light fixture.